Stadium Digital launched a new interactive video engagement platform today for the Canadian Hockey League (CHL) and their league partner CIBC. CIBC Showdown showcases the best video content from the CHL and delivers it to hockey fans in a new interactive environment. 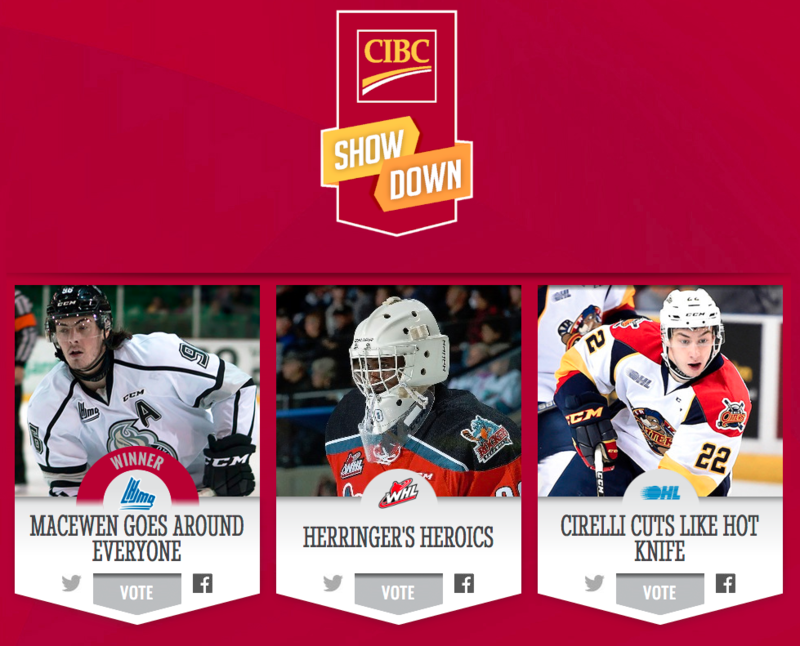 Available across all online and mobile platforms, CIBC Showdown features a custom-built digital video player and content hub that allows hockey fans to vote on a weekly selection of top highlights from the OHL, WHL and QMJHL. Fans can share their favorite CHL highlights with friends and family across their own social platforms using the tag #CIBCShowdown. Stadium Digital launched a similar video engagement platform for the Hamilton Tiger-Cats. The team’s popular Play of the Year has been a go-to destination for Tiger-Cats fans to vote on the team’s top plays from the past season. Stadium Digital is currently in discussion with other teams and leagues to extend the ShowDown and Play of the Year platforms to new partners.